GREY SIGNIFIES KNOWLEDGE AND EXPERTISE. HENCEFORTH, IT IS FOR THE MODERN ARTIST. 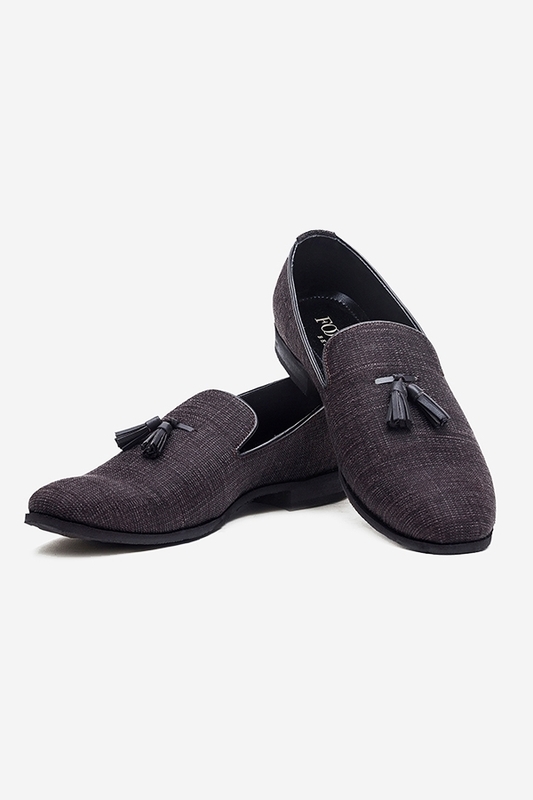 THIS SLIP-ON PAIR INCORPORATES TASSELS WITH LEATHER PIPPING IS EXCLUSIVELY FOR THE ABSOLUTE, THE IMMACULATE, AND THE INNOVATIVE. THE HEFTY SOLES AND THE GENERAL DURABILITY WITH THE BROGUE HOLES GIVE THIS PAIR OF BOOT THE PERFECT DRESSIER LOOK WHICH YOU CAN'T RESIST. COLOGNE IS A LACE-UP STYLE CALF-ANILINE LEATHER SHOE, WITH ELEGANTLY STITCHED PATTERNS THAT SPEAK OF CLASS, CALIBRE, AND CLOUT. CALF-ANNALYNNE LEATHER MOCCASINS IN A LACE-UP STYLE, AND GORGEOUS DARK BROWN SOLES, ARE FOR THE SKILLED AND THE PROFESSIONAL.